Financial confidence like never before. Free your team from manual, repetitive works and focus on the things that matter. We bringing together over 10 years of Corporate Finance, Treasury, Accounting, Auditing, Artificial Intelligence, FinTech and Financial Services in our executive team. We help you to focus on driving the success of your business, not on your books. 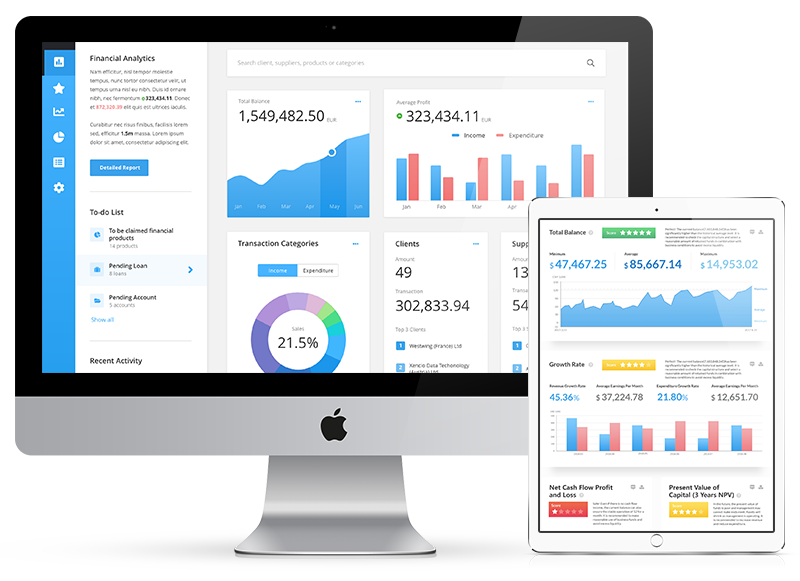 Our FININT engine turns all your financial transactions into an on-demand realtime dashboard of your business. Understand the most up-to-date information about your business without relying on the heavy process of bookkeeping. Simply link your bank account to our platform to get real time FININT business insight. Plugin for Integration to ERP or accounting system available with forecasting and reconciliation features. Our solution is available via public cloud (SaaS), private cloud or on premise (Hosted). Still using excel to come up with reports? Email with attachment to communicate accounting records between teams? Xencio brings together AP, AR and GL teams, reduct manual work and make collaboration much more effective and simple. As a business owner, you don’t need to learn accounting to use Xencio. Our AI powered engine automatically turn your data into a daily dashboard. Categorisation is already done before you log your invoice. On demand FININT business insights gives you an ongoing surveillance of your business. © 2019 Xencio GmbH. All Rights Reserved.